Hack Nights are biweekly hack sessions at University at Buffalo. Build awesome projects and connect with your fellow UB ACM peers. The project that uses the coolest technologies. The project with the most polish. We are UB ACM, University at Buffalo's undergraduate computer science organization. Our mission is to empower student peers and help them find their path in computer science. UB ACM hosts a variety of extracurricular events to achieve our goal. We have weekly meetings where our members or speakers run workshops and tech talks on the latest technologies used by professionals in industry or academia. Additionally, we run events like Hack Night and social events to allow students to connect with others with similar interests. 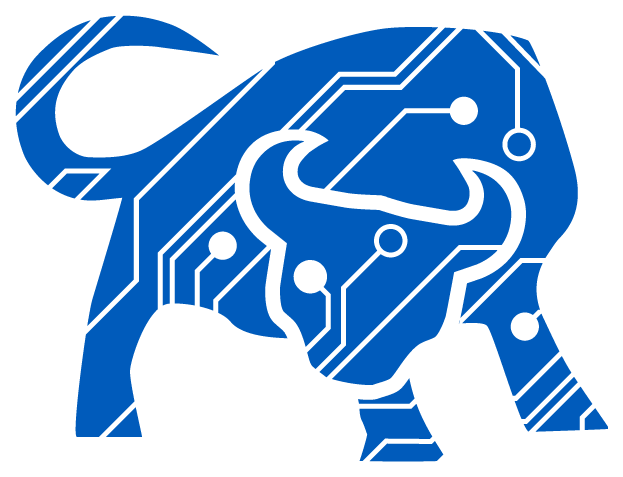 The "Circuit Bull" is an approved logography for UB ACM by the University at Buffalo Trademarks and Licensing department. The logos for our club's parent organizations, University at Buffalo School of Engineering and Applied Sciences, University at Buffalo Student Association, Association for Computing Machinery logo, are owned by their respective owners.